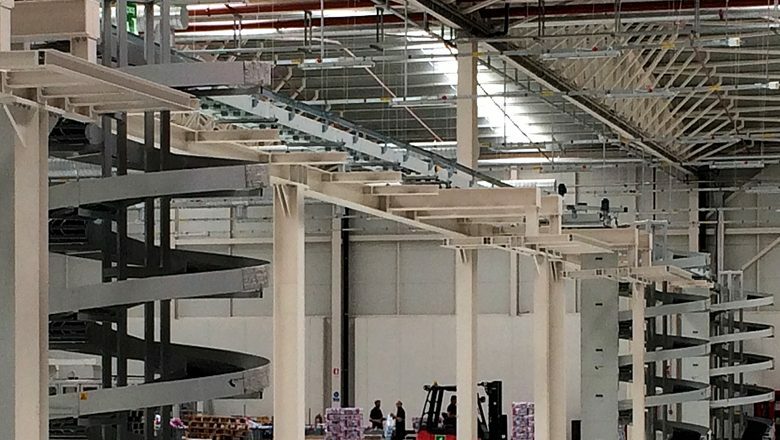 The strong vertical conveyor. The powerlifter among the spiral towers! Have you ever seen a hippo on a spiral conveyor? Probably not. But with the Hyperion it would be technically possible. The conveyor is equipped with extra tough, heavy-duty Hyperion belt. With belt speeds up to 60 m / min and widths up to 600 mm the Hyperion is the most powerful vertical conveying solution on the market. The Hyperion has a centrally powered chain of hardened steel links and can belt pressures up to 4500 N. Friction of the belt is reduced to a minimum, thanks to the roller support and guide bearings. The strength of the belt, in combination with the low friction, resulting in high capacity and low energy consumption. 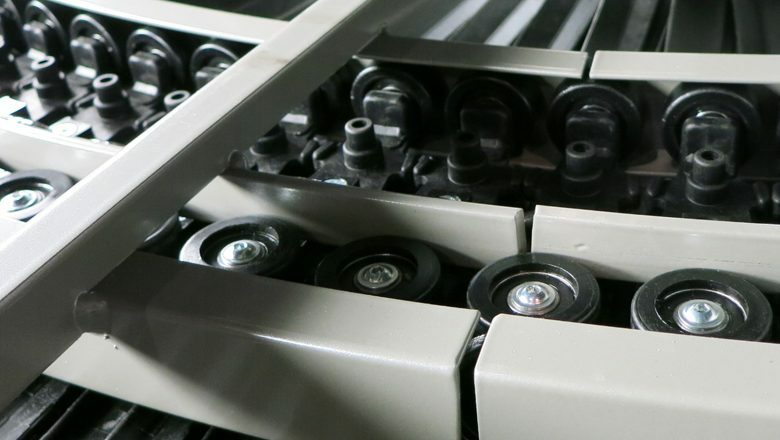 The use of TPU (thermoplastic polyurethane) rollers makes the Hyperion a silent conveyor, even at high speed. There is only one engine required, which facilitates the control and system integration of the Hyperion conveyor and therefore minimizes operational costs. 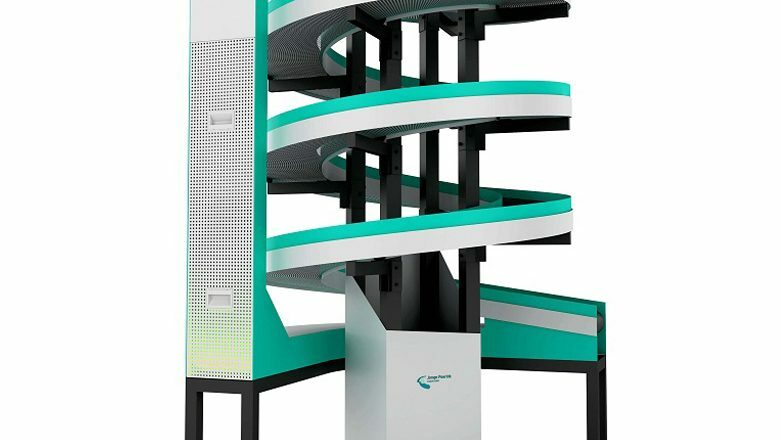 The Hyperion spiral conveyor is the eyecatcher on the production floor. You can order the conveyor belt in your corporate brand colors. In short, the Hyperion guarantees a high capacity and makes a statement of elegance and class in your production environment.